Mr. Berger also advised John Kerry and Michael Dukakis on their presidential runs. 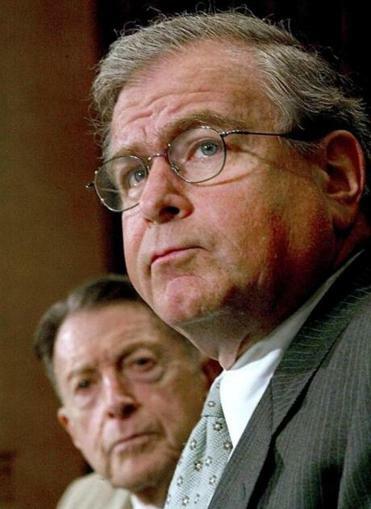 NEW YORK — Samuel R. Berger, a political confidant of President Clinton who became his national security adviser in his second term, died Wednesday in Washington. He was 70. His death was announced by Tara Sonenshine, his longtime aide. Mr. Berger, who was known as Sandy, was given a cancer diagnosis more than a year ago. The day before his death, he was honored with a global humanitarian award by the World Food Program USA, a group for which he had served as secretary treasurer in recent years. In a statement Wednesday, President Obama called Mr. Berger “one of our nation’s foremost national security leaders” and said he had “benefited personally” from his advice. “Today, his legacy can be seen in a peaceful Balkans, our strong alliance with Japan, our deeper relationships with India and China,” Obama said. Clinton said he mourned the death of “my wise and wonderful friend” on Twitter. “Nobody was more knowledgeable about policy or smarter about how to formulate it,” Clinton said in a separate statement, speaking for himself and former secretary of state Hillary Clinton. A stocky, sometimes temperamental and frequently humorous political operative and trade lawyer, Mr. Berger oversaw a remarkable time in US foreign policy but stumbled after leaving office when he pleaded guilty to removing documents from the National Archives. Succeeding Anthony Lake as Clinton’s national security adviser in 1996 — he had been Lake’s deputy — Mr. Berger played a critical role in the strategy to use US power, and airstrikes, to target the forces of President Slobodan Milosevic of Yugoslavia and end the Balkans war. On another front, Mr. Berger drew on his earlier work on Capitol Hill to lobby to allow China into the World Trade Organization, part of a big gamble by the Clinton administration that it could place China, the world’s fastest-growing power, within a web of Western-based rules and tame its behavior. Many observers still question that strategy. Some friends agreed that Mr. Berger was not a grand strategist, but they argued that his time in the White House was a moment for managing alliances and adjusting global expectations of America’s role, not for a Kissingerian reordering of global power. As Lake’s successor, Mr. Berger had a starkly different demeanor than his former boss. Lake was an academic at heart, a professor after a career as a foreign service officer. He was rarely seen in Washington. Mr. Berger, by contrast, was everywhere: at parties in Georgetown, on the Sunday morning news shows, on the phone debating with reporters about how they had characterized Clinton’s foreign policy or the political maneuvering on Capitol Hill. He was also considered, at the time of his White House service, among the most influential national security advisers since Kissinger, largely owing to his closeness to Clinton. He remained a political adviser even while conducting the national security job. When Clinton was battling impeachment, Mr. Berger was often among the group that met in the White House residence to plot strategy. After Clinton’s presidency, there was new examination of lost opportunities. It was on Mr. Berger’s watch in 1998 that the Clinton administration fired a Tomahawk missile at an encampment in Afghanistan where it believed Osama bin Laden, the leader of Al Qaeda, was meeting. The assassination attempt failed; the CIA later reported bin Laden had been at the camp but left shortly before the attack. A related unsuccessful attack, on a plant in Sudan, was based on faulty intelligence. After the terrorist attacks of Sept. 11, 2001, Mr. Berger, appearing before the commission formed to investigate them, testified on what kind of warnings had been passed to his successor, Condoleezza Rice, in President George W. Bush’s administration, and by implication whether Mr. Berger and his colleagues had done enough to address the rising threat of Al Qaeda in Afghanistan. During the investigation, Mr. Berger went to the reading room of the National Archives in Washington, gathered several documents related to the Clinton administration’s handling of an Al Qaeda plot and spirited them out of the building, hiding them under a nearby construction trailer and retrieving them later. A prosecutor found that while Mr. Berger had destroyed some papers, he had taken only copies, so nothing was permanently lost. He pleaded guilty to a misdemeanor charge, paid a $50,000 fine, and temporarily lost his security clearance. He also stepped down as an adviser to then-Senator John Kerry’s 2004 presidential campaign. The episode made Mr. Berger politically radioactive for a time, and while he quietly advised Hillary Clinton during her White House run in 2008, it was only in recent years that he began to reemerge as a national security voice in Democratic circles. Obama invited him to a dinner at the White House last year along with other prominent figures to discuss foreign policy, and he made a few television appearances. Samuel Richard Berger was born on Oct. 28, 1945, and grew up in Millerton, N.Y., where his parents ran an Army-Navy store. He received a bachelor’s degree from Cornell and a law degree from Harvard. Mr. Berger met Bill Clinton as a speechwriter for Senator George McGovern’s 1972 presidential campaign. He joined Jimmy Carter’s administration as deputy director of policy planning at the State Department, working for Lake. He also worked as a foreign policy aide for the 1988 presidential campaign of Governor Michael Dukakis of Massachusetts. He leaves his wife, Susan Harrison Berger; a son, Alexander; two daughters, Deborah Berger Fox and Sarah Berger Sandelius; and five grandchildren.